People Magazine Online har släppt en sneak preview av deras "World's Most Beautiful 2011" lista, och Jennifer Lawrence är med. ...Lawrence, 20, who stars next in The Beaver and just nabbed a coveted role in The Hunger Games, is, however, ready for a change: "I would like to move on to do something different ... Maybe wear makeup in a movie. I mean, that'd just be crazy, right?" Gå till People Magazine Online läsa resten. MTV's Hollywood Crush pratade med Austin Butler som nämnde att han älskar the hungergames och att han vill läsa manuset. Josh Hutcherson & Liam Hemsworth som Peeta & Gale ? Casting for the male leads on The Hunger Games isn't complete. 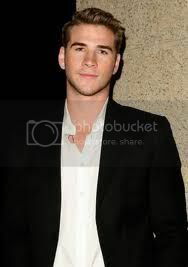 I'm hearing that at the moment, Liam Hemsworth is frontrunner for the role of Gale Hawthorne, and that Josh Hutcherson is in the same position for the role of Peeta Mellark. In the Gary Ross-directed adaptation of the Suzanne Collins novel trilogy, Gale is the hunting partner of Katniss Everdeen (Jennifer Lawrence), and Peeta Mellark is the baker's son chosen to accompany her as the district's entry into the deadly Hunger Games reality show competition. Both have been hotly contested roles among young actors, as was Katniss before Lawrence got the job. Per Lionsgate, no offers have yet been made, and nothing is definitive. Kom ihåg att detta är inte på något sätt officiellt. Eftersom det är väldigt tomt med nyheter just nu lägger jag upp en gammal väldigt rolig intervju med Jennifer. MTV's Hollywood Crush intervjuade Winter's Bone Casting Director Paul Schnee om castingen av Jennifer i Winter's Bone och varför han tycker hon är en perfekt Katniss i The Hunger Games. Klipp med Jennifer från "The Beaver"
Jennifer Lawrence drar sig ur "The Seventh Son"
Jag skrev tidigare att Jennifer drog sig ur "The Savages". Hon gjorde det så att hon kunde vara mer dedikerad till rollen som Katniss. Hon har nu också dragit sig ur filmen "The Seventh Son" pga samma annledning. The last time we reported on the forthcoming young adult novel adaptation The Seventh Son it was called The Last Apprentice, and rising star Alex Pettyfer had reportedly ditched another project in order to lead the cast that was also set to include Jeff Bridges and Jennifer Lawrence. A month and a half later, a whole lot has changed. Bloody Disgusting reports that Lawrence is out thanks to her new role in The Hunger Games, Pettyfer is out for other reasons (maybe he's gotten the other role in The Hunger Games he was offered), but Julianne Moore has signed on. The last time we reported on the forthcoming young adult novel adaptation The Seventh Son it was called The Last Apprentice, and rising star Alex Pettyfer had reportedly ditched another project in order to lead the cast that was also set to include Jeff Bridges and Jennifer Lawrence. A month and a half later, a whole lot has changed. Bloody Disgusting reports that Lawrence is out thanks to her new role in The Hunger Games, Pettyfer is out for other reasons (maybe he's gotten the other role in The Hunger Games he was offered), but Julianne Moore has signed on. Jennifer Lawrence drar sig ut "The Savages"
Deadline reports that Jennifer Lawrence has fallen out of the O role in Savages because of her commitment to The Hunger Games movie. Savages is the Oliver Stone-directed adaptation of the Don Winslow novel. The movie is looking at candidates like Olivia Wilde to take on the role intended for the Hunger Games lead star. Entertainment Weekly intervjuade nyligen Jennifer. ENTERTAINMENT WEEKLY: What scene from the three books made you the most excited to play Katniss? "I don’t think a particular scene made me excited to play Katniss, the entire book made me want that. That being said, I’ve never shot a bow and arrow, so that’ll be cool." What character besides Katniss are you fondest of, and what is it about them you love? 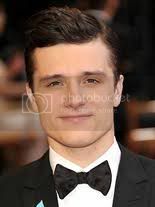 "Peeta. He’s good and nice in a world that’s harsh and unkind." What heroines from movies past do you think have some of Katniss’ fighting spirit? "Sigourney Weaver’s “Ripley” in Alien is the first that comes to mind." Lyndsy Fonseca som också försökte få rollen som Katniss twittrar om att hon stödjer Jennifer. Eonline rapporterar att Weeds "skådespelare Hunter Parrish har varit i samtal för att spela Peeta Mellark i Hunger Games filmen. De kunde få en pratstund med honom igår kväll på Alternative Apparel's Fall 2011 presentation i West Hollywood. Han har inte läst manuset, men han bekräftade att han har träffat med producenterna. “I’ve met the producers. I’d be grateful to get the opportunity. Like, really grateful. It would be amazing. ”You don’t get much better than that,” he said. Vem vill han ska spela Katniss i filmen?